As you know, we have two vacancies on the NAHJ DC Chapter Board: Secretary and At-Large Officer. Three people volunteered to fill the positions. The current chapter board met with all three candidates and found all of them would be a great addition to the Chapter Board. However, none of the three candidates qualify to be Secretary because neither candidate is a regular member of NAHJ. One candidate is a student member, another is a recent graduate, and the third works in the Public Relations department at a Spanish Language Media Company. We feel all three would be great At-Large Officers. I’ve included a biography of each of the candidates. Our intention is to appoint all three candidates to the At-Large Officer position and keep the Secretary position vacant until the next election in July. Please let us know your thoughts on this proposal. If there are no objections, I will make the appointments at the end of the month. I will excise the power of appointment as mentioned in our By-Laws. Andres Gonzalez is a multimedia, bilingual freelance journalist. He has worked with the Associated Press in Washington, D.C. first as a news intern and then as a freelance video producer. One of his favorite assignments was producing a multimedia, long-format report for The Associated Press on minority, low-income Washington, D.C. residents being priced out due to urban redevelopment. Before the AP, Andres interned at USA TODAY, WTTG FOX 5 D.C., Public Broadcasting Service, Capital News Service and Corridor Inc. magazine. Andres graduated from the University of Maryland with a bachelor’s degree in political sciences and broadcast journalism. As a student, Andres was the editor-in-chief of La Voz Latina–U-Md.’s only Latino newspaper–and worked at U-Md.’s television station. Andres was born in Colombia, grew up in Puerto Rico and lived in England. In his free time, he enjoys watching documentaries, trying ethnic cuisines, baking and learning languages (currently learning French). 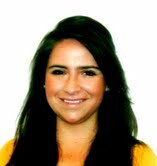 Born and raised Venezuela Melissa Macaya is passionate about reporting and producing news about political and international issues especially focused on Hispanic and Latin American topics. She has gained journalism experience on the local, national and international level producing news content in both English and Spanish. During her undergraduate career, she worked in the media departments of the Organization of American States and the Washington Office on Latin America while also collaborating with various news outlets that included Globovision and Hispanic Link News Service. She then was chosen as a Fellow at NBC News as part of the NAHJ/NBC Fellowship where she served as field producer for Nightly News. In the Fall semester of her senior year, she worked with Univision in Texas helping produce news packages about Hispanics in the state and around the country. Melissa loves to travel and has lived in 5 countries: Venezuela, Spain, Mexico, Argentina and the United States. She is currently pursuing her Master’s degree at Georgetown University and working at CNN’s DC bureau with its CNN en Espanol team and Assignment Desk. Cynthia Martinez is the Marketing Director for ZGS Communications, a multimedia company that owns and operates the largest group of Telemundo affiliates, radio properties, holaciudad.com and more. Cynthia drives all station marketing efforts from beginning to end, while also providing day to day support and training to 14 marketing coordinators across the company. From strategy to creative media placement, she establishes marketing priorities for the group, incorporates new platforms and supports digital and social media marketing efforts. She is a graduate of the University of Central Florida.